Patients undergoing an examination by an orthodontist are frequently surprised to learn that poorly spaced teeth are the cause of health problems that affect daily living. Whether someone is a child, teenager or adult, it is possible to improve the condition of teeth with orthodontic treatments. There are numerous smile quotes written by people such as Santosh Kalwar because smiling is a universal greeting that everyone understands. However, for anyone too embarrassed to laugh or smile, orthodontic treatment with braces or aligners is the best option. Braces are available for different types of malocclusions and any age group. While children and teenagers are the primary patients at an orthodontic facility, more adults are choosing to wear removable aligners or permanent braces to straighten their teeth. 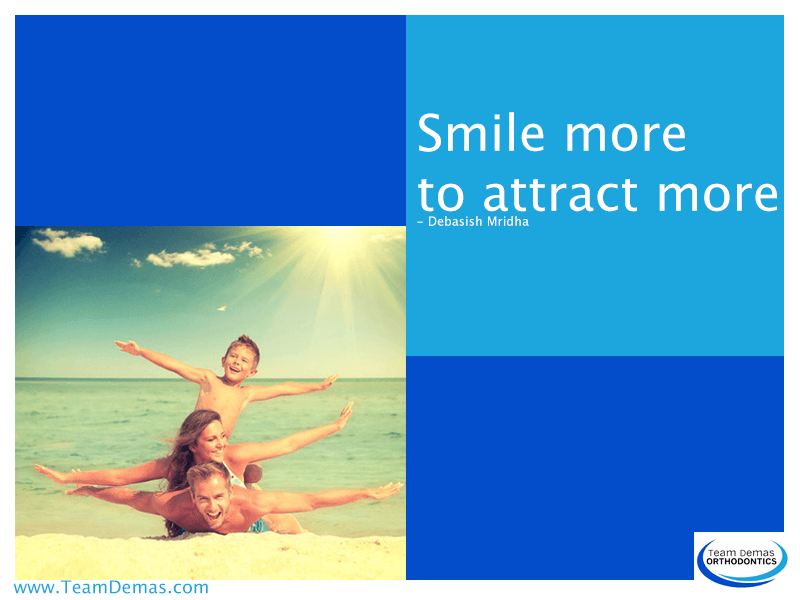 Dr. Don Demas manages orthodontic facilities in Southington – 860-276-0333. With state-of-the-art equipment, Dr. Don Demas can evaluate a patient’s bite to create a treatment plan that includes wearing retainers, aligners or braces to straighten teeth. Wearing braces can change someone’s life, leading to them smiling more often each day.